Gentlemen, to look your very best, you have to shave every day. The process is deceptively complex though is it not? It seems like shaving is the best thing you can do for your appearance, but the worst thing that you can do to your face. It doesn’t have to be that way, and your morning ritual can be significantly more enjoyable—not to mention easier on your face. The answer is yes, yes, a thousand times yes. 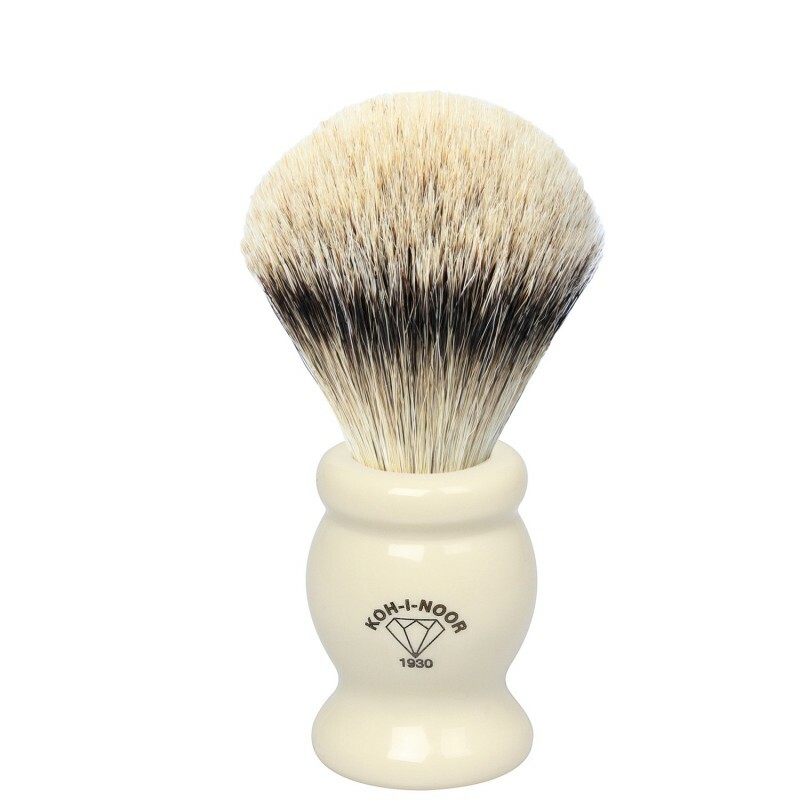 No, technically you don’t need a shaving brush but it makes using the kind of creams and soaps that are good for your face a joy instead of a real pain without a good brush. If you’re using a canned foaming cream that’s fine; I just don’t want to be the one to tell your skin that you hate it. We cover the reasons that canned creams are basically the Sahara desert for your face here. This is a judgement free zone. If you use compressed chemicals and air to protect your face that’s fine, and this article can still help you get to the top of your shave game. Shaving brushes can still help your morning routine even if you use a foaming cream; your results will be significantly better however if you elect to use a non-foaming cream. Believe it or not, your shaving experience doesn’t start when the razor starts cutting. Thinking about shaving as cutting hair of your face—or head for the guys that can pull it off—is only half of the equation. You know that you should shave after a hot shower, or at least after a hot towel. The heat softens up your coarse beard hairs and makes your skin suppler. In a totally masculine way of course; man supple is the term I would use. Making the job easier for your razor alone can radically change your shaving experience, but there is much further to go yet. A good brush will not only effectively cover your face with cream, soap, or oil but it will lift and separate your stubble or beard hair. When using one (even with foaming creams) apply in a circular motion to pick up each individual hair and coat the skin underneath with lather. If the hair is standing up with cream under it, then it is in a prime position to get sliced by the razor. What this means for your shave is that your razor will be able to glide uninterrupted across your skin. That’s good news for your cheeks, but even better news for your jawline and your neck where cuts and nicks are more common while you negotiate the topography of your face. Also, with the hair elevated you decrease the chances of the razor missing a hair. More hair cut in the first pass means that you don’t have to revisit an area that you’ve already covered. The world of brushes can be daunting at first. There’s different bristles and radically different prices for what all appear to be more or less the same. No problem, we’ve put together this handy guide to walk you through the selection process. The discerning connoisseur doesn’t use anything other than badger, though there are other options on the market. 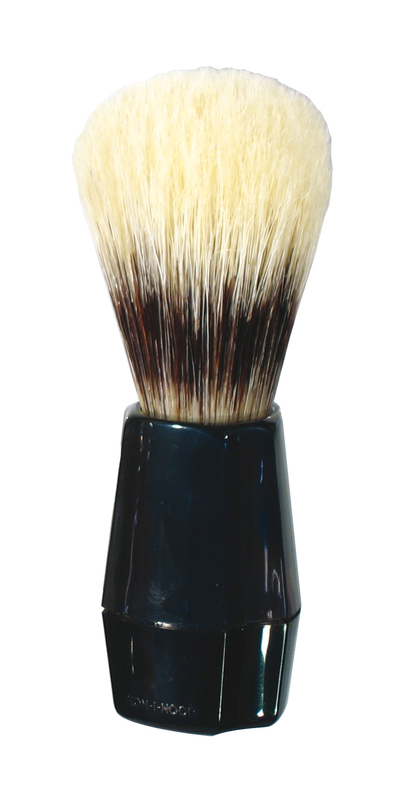 Badger bristle brushes are the premium option for a man to get the most out of his shaving experience. In many industries, you get what you pay for and shaving brushes are no exception. Badger bristle is the pinnacle of quality. The individual hairs are soft; they bend and move as one. But they are also densely packed which means that they will retain an optimal amount of water. Canned creams expand and ‘lather’ on their own thanks to a healthy shot of propane or butane as a propellant. Quality non-foaming creams or soaps rely instead on water to loosen them up and work a rich lather. There are other bristle options on the market. The most popular less expensive alternative is boar bristle and to a lesser degree horse hair. Boar bristle is very affordable but the price savings come with a steep quality sacrifice. Boar bristle is much stiffer and no matter how densely it is knotted—the knot is the term for the density of the brush—it still doesn’t have the water retention of badger bristle. 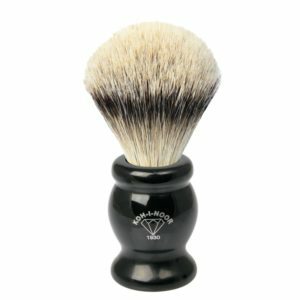 In some instances, those interested in exploring the world of premium shaving options have tried out a boar bristle to start, didn’t see a significant improvement in their shaving routine, and decided that they didn’t need a shaving brush at all. Unfortunately if they had gone with a badger bristle brush they would be converts.